I'm sliding outwards, across the boundaries and just in time. One of the most important results of Rhizo14 for me has been my connection to educational thinkers outside of North America and Western Europe, the West. In a series of articles for Hybrid Pedagogy, Maha Bali (Egypt) and Shyam Sharma (originally Nepal, now in New York, USA) tackle the issue of working with and speaking to the privileged West from a non-Western context. I had an epiphany when I read that Westerners and non-Westerners "do not talk the same language." I think Maha and Shyam are correct. We don't. Even the way I just wrote that—Westerners and non-Westerners—privileges the West, makes the West the touchstone, renders everything else as Other. I don't do it on purpose, but I do it none-the-less. I'm not interested in beating up on myself here, or on the West, and that is certainly not what Maha and Shyam were doing. Rather, I feel an obligation to recognize our situation and to be sensitive to ways to work with this peculiar boundary that exists between us. I don't say eliminate the boundary because I have much more respect for boundaries than that. While it is true that hard boundaries can separate us, soft boundaries are also the affordances that join us. We cannot do without boundaries, but we can rethink and restructure our boundaries. Then, Clarissa Bezerra (Brazil) has been sharing on her blog writings from Brazilian and Spanish scholars unknown to me and likely unknown to most US educationists. Clarissa has kindly translated a section from Maria Cândida Moraes' book Eco-Systemic Thought: Education, Learning, and Citizenship in the 21ST Century (Moraes, Maria Cândida. Pensamento Eco-Sistêmico: Educação, aprendizagem e cidanania no século XXI. 2 ed. -Petrópolis, RJ: Vozes, 2008), and it resonated with me immediately. I detect some heavy influences in Moraes' book from another of my favorite writers, Edgar Morin, who, I understand, is much more well-known in Latin America than in the English speaking world. I'm confident that Moraes has read On Complexity. Moraes begins by grounding education and knowledge "adjacent to the roots of quantum, biological, and complex thought." This is where Siemens begins with his discussion of connectivism, and it's where I position my thinking about education, rhetoric, and rhizomatic learning: within complexity. As I've said in my blog before, I see connectivism, cMOOCs, rhizomatic learning, and a wealth of other educational efforts as expressions of culture's general expansion beyond the simple/complicated domains of classical scientific and cultural thought to include the complex/chaotic domains. I am interested in thought within the complex domain, and I sense that this is where Moraes is playing as well. Education, then, can no longer be the cool, objective acquisition of inert knowledge; rather, it is the complex emergence of the knowing self within a knowing universe. Yes, the exchange of information, along with the exchange of matter, energy, and organization, is at the heart of how the universe works. We know, and we are known. We know as we are known. They are not separate things, but a dialog between ourselves and the universe. This is a radically different epistemology that we in education have yet to grapple with. Fortunately, we have access to a marvelous voice from Brazil that can help—though I must note that Jorge Luis Borges was trying to introduce us to complexity thinking way back in 1941 in his story The Garden of Forking Paths. It has taken me too long to comprehend. I have had to learn the first things last. I look forward to more translations from Clarissa Bezerra, and I am indebted. Rhizo14, a garden of forking paths, is a wonderful place to study. Recently, Maha Bali and Sarah Honeychurch held a Google Hangout with Dave Cormier as a follow-up to Rhizo14. Lots of people had sent in questions, and mostly the hangout was about Dave responding to the questions. Along the way, Dave gave a good answer to my question about a different way of defining anything, but defining courses in particular—defining from the inside-out rather than from the usual outside-in. I first came across this idea from Edgar Morin's On Complexity, and for some reason, it has persisted with me. I have the sense that if I can fully understand the difference between these two approaches to forming reality, then I will see a different world. Dave clearly understands the question, and framed it in a very practical way around the issue of learning objectives or goals. He says that in his own classes, for instance, he resists giving his students (mostly practicing educators) learning objectives, but encourages them to form their own. He notes that a course such as Rhizo14 is not driven externally by curriculum, money, certification, formal expectations, or assessments, and "because of that, the curriculum was a lot richer, was a lot more diversified … and you get a chance to learn in unexpected ways." His answer makes great sense to me, except for one thing. At about 20:25 in the Youtube video, Dave says that he thinks this inside-out approach is not so useful for basic courses, such as first-year physics. As the conversation develops, he suggests that basic learners need more scaffolding than that afforded by cMOOCs such as Rhizo14. I often come across this idea and its variations: that MOOCs are for advanced students who already know the ropes, who know what they want, and who don't need the scaffolding. Stephen Downes says that MOOCs are for advanced students. MOOC discussions seem to suggest it, but I'm not yet convinced. Something about this seems to sell short the younger, beginning student. I will make a not so subtle shift here from talking about cMOOCs to talking about rhizomatic learning. I'm comfortable doing this, first, because Dave Cormier hardly uses the term MOOC in his answers during the hangout, and also because I think rhizomatic learning is the larger, more inclusive term. I think all cMOOCs are strongly rhizomatic, but not all rhizomatic learning experiences are cMOOCs. So let's start with a thesis and see if I can defend it: inside-out, rhizomatic learning works across all scales of learning, for beginning as well as advanced students, from birth to death. First, I do not know if Dave Cormier would agree or not with my thesis here. I'm basing this entire conversation on an almost throw away comment he made off the cuff, and I'm tying it to a larger conversation that he did not intend to join, so don't infer anything about Cormier's beliefs from what I say here. Rather, just take his comment as I have: a starting point to talk about something that's bothering me and that I hope to figure out. Dave's comment merely triggers my ramblings. I do not see that age or preparation are the determining factors in the appropriateness of inside-out, rhizomatic learning. To my way of thinking, the determining factor is the stability and focus of what is being learned. If the subject under consideration has but one acceptable outcome, one answer, and if there is only one acceptable path, or a very few, to that outcome, then inside-out learning is not appropriate. That kind of training is better performed from an outside-in perspective, preferably by someone who knows the acceptable outcomes, the right answers, and knows the precise path to those outcomes. Such training lies in the simple domain. By simple, I do not mean that the learning is not challenging or rigorous or even complicated, but I mean simple as in the Cynefin framework's definition of the simple domain: an obvious solution with an obvious path to the solution. For instance, if there was one clear answer to the question what is rhizomatic learning, then Dave chose the wrong method for teaching the class. He should have designed a set of exercises that led us in laminar fashion along a prescribed path, through rigorous hoops (advanced learning, after all), and finally to the right answer: rhizomatic learning. He, as the expert facilitator, would have assessed our progress and told us how close we got to the right answer, shown us where we failed, and suggested how we might improve. That's a rather standard approach to education, and in some cases, it is still the appropriate approach. But Dave didn't take that approach because there is no one, clear outcome, no privileged answer, and no clear route. There are insights, there are ways, there are meanderings, there are territorializations and deterritorializations, there is terrain to cover, to map. But there is no final destination on the map. So Dave sparked explorations with challenging questions that opened up spaces this way and that for us to explore, and along our ways and with much note comparing, we began to develop a sense of the lay of the land. We noted some landmarks, made some new ones, walked or cut some trails, but no trails led to the answer. They were just trails that were rewarding to walk or not, but they were not necessarily to get somewhere. I don't think this kind of rhizomatic learning must be reserved for advanced students. It seems to me that babies have to take this inside-out, rhizomatic approach to learning. They have almost no scaffolding to rely on. They are motivated largely from the inside: they want food, comfort, security, warmth, and they want to know their world: that looming face, that pleasant sound that seems so familiar, that shiny red thing just over there out of reach. I don't know that we are ever more rhizomatic learners than from birth to six months as our DNA is busy unpacking us into this strange new place we dropped into. That's inside-out learning, almost totally. I think infants slowly transition to directed, outside-in learning, but they first have to develop some scaffolding—for instance, they have to figure out how to separate significant forms from the background swelter and noise, starting with the mother. There may be no more difficult or more significant learning task for humans than this ability to distinguish signal and form from noise. We still don't know how babies manage it. Then they have to learn a language, more scaffolding. This, too, is no trivial task, and it may be the second most important learning task. At this point, infants are ready to engage in directed learning, but they've already done the most important learning, and it seems to me that it was almost all rhizomatic, inside-out. For babies, scaffolding itself is almost completely a bootstrap, rhizomatic effort. Anyway, back to my thesis. (Writing is often like meditating: I focus on my breath/thesis, my mind/words wander, and I bring them back to my breath/thesis.) I don't see that the appropriateness of inside-out, rhizomatic learning depends on the preparedness of the learner; rather, it depends on the domain in which the content lies: learning in the simple domain suggests an outside-in approach, and learning in the complex domain suggests an inside-out approach. Both domains demand some scaffolding for the students, and either the students show up with that scaffolding (for instance, they already know how to use Twitter) or they have to be provided the scaffolding (taught to use Twitter). Dave makes a relevant distinction here between paying students in traditional education and non-paying students in MOOCs. He feels more obligated, and likely more able, to provide the scaffolding for the small, more manageable groups of paying students than for the massive, less manageable groups of MOOC students. I feel the same sense, but this ignores the point that the scaffolding is required either way. Students may bring it with them or they may build it quickly in the class, provided by the teacher or not, but either way, they have to have some scaffolding. Actually, Twitter is not such a scaffolding problem in any kind of class. The more important scaffolding is the set of expectations and roles we develop to succeed in traditional classrooms. To succeed in a MOOC, that traditional scaffolding must be dismantled, otherwise it is in the way, and new scaffolding constructed. I don't think it's correct to say that cMOOCs don't have any scaffolding. I think they do, but that will be another post. (I like these posts that suggest lots of other posts). Now, I've been discussing education as if it is all traditional, outside-in or all rhizomatic, inside-out. I don't think that is the case. Most of my classes over the years have been a mix, though I am introducing more and more rhizomatic elements and threads. Most of us still teach in institutions that demand, either explicitly or implicitly, that we teach in traditional ways. 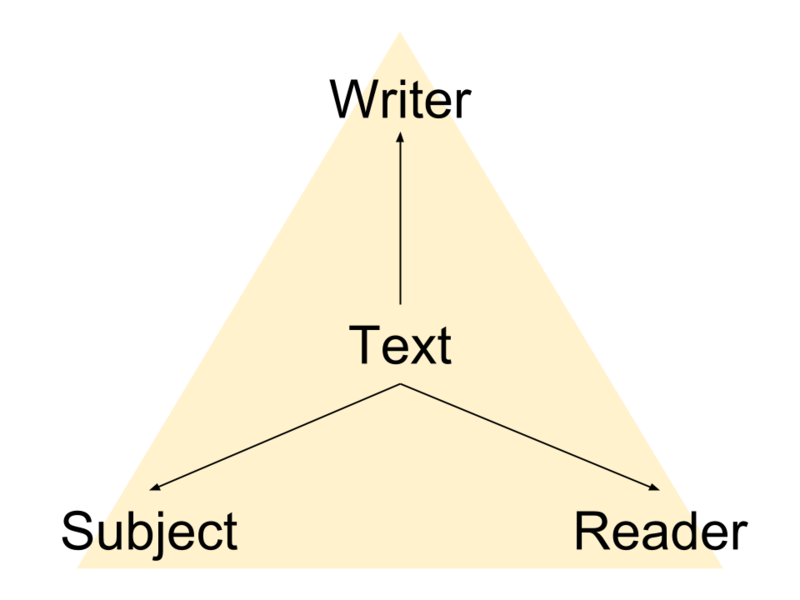 Moreover, most subjects have some elements with one answer and one method mixed in with more open-ended elements. Thus, a class can be a rich mix of the simple and complex domains, calling for a mix of outside-in and inside-out strategies. And this brings me to what may be the last point of this post: rhizomatic, inside-out learning is always a matter of spatial scaling. What I mean is that where traditional, directed, outside-in learning gives us a specific path to trace through a known topography to a specific learning objective, rhizomatic, inside-out learning opens a space for us to explore. The size and topography of this space should be appropriate to the learner. This is another way to distinguish directed learning from rhizomatic learning: the amount of space. Directed learning posits less space: a narrow path to a specific goal; whereas, rhizomatic learning posits more space: an opening with many or no paths and no set goal other than to explore. However, rhizomatic space is almost never unlimited. It is always limited. We advanced learners like to think that we can move confidently in unlimited spaces, but we are fooling ourselves. Consider the following video of Felix Baumbartner's jump from the edge of space, 128,000 feet out. Are you really ready this afternoon to play in that space? I'm not, and I doubt I have enough time left in life to work my way up to it. But here's the point. We don't need this much space to be rhizomatic. Actually, this much space pushes us into the chaotic domain, where we cannot function well for long. We all need learning spaces that border the chaotic, but don't go over. That border is always measured from the inside-out, from the view of the learner. Thus, a new, unexplored 20' by 15' doctor's waiting room can be a wildly rhizomatic learning space for a toddler, while at the same time a totally boring, predictable, restricted space for the watchful mother. A learning space, then, can be rhizomatic if it is sufficiently large enough, but not too large, for the learner. It need not necessarily be large enough for the teacher (though, as a teacher, I certainly am more engaged with my classes when the learning spaces are rhizomatic for me as well as for my students). So can cMOOCs be too large and strange a learning space for some people? Certainly. Six month MOOCs are almost too large for anyone, as Siemens and Downes demonstrated in 2011. Six week MOOCs seem closer to a sweet spot for many advanced academics, but what's wrong with smaller MOOCs with smaller spaces. They can still be rhizomatic. Why not offer children, or any other beginning students, a six-minute MOOC? Six minutes to be any dinosaur that you want or can imagine. What a great relief from the tedium of matching the names of dinosaurs to images. Or for Dave's first-year physics students, six minutes to describe a new force in the Universe and to explain why we haven't noticed it yet. Google has made a name for itself by giving its employee's 20% time to work on anything, to follow their own passions. That's rhizomatic, inside-out learning, and I think it can be done on some scale with any group of students.